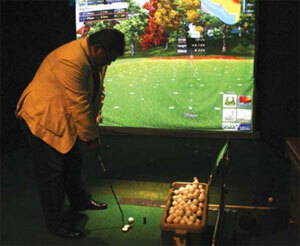 Indoor golf simulation at Nepal Golf Zone (NGZ) may just be what you are looking for. 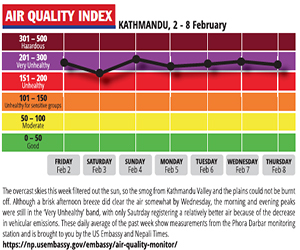 Want to practice your strokes but the December cold is preventing you from driving all the way to Gokarna or Gaushala? Or you are worried the rain will play spoil sport? Indoor golf simulation may just be what you are looking for. But, wait. You can only use the simulation room at the Nepal Golf Zone (NGZ) in Gairidhara after the inhouse instructor has given you a pass on your golfing ability. “Because the simulator is of high quality and very expensive, we have to be very careful,” says Pawan Chitrakar of NGZ. However, for those just starting out, NGZ also has a driving range (pic, above) where for Rs 300, a person can strike 100 balls. And for Rs 500, you get to strike unlimited balls. 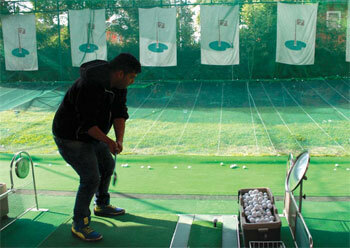 The place also has a membership plan which costs Rs 3,000 per month. A professional coach will be made available for an extra Rs 5,000. Once you finish your course, and are deemed ‘ready’, you can enjoy golfing in the Indoor Golf Simulation room which accommodates two to six players. 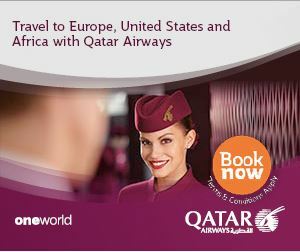 There are also a myriad of courses to choose from. After taking over the establishment from previous owners, Chitrakar has been working to revive the place. An open bar where sports fans can enjoy watching football has been added to the backyard, and there is plans to open a cigar room for “the gentlemen”. What remains the same is Maan nam, a Korean restaurant inside the complex, a popular place for lovers of Hankook cuisine. While Tuesday evenings are for Salsa, it is live music time on Friday nights and on Sunday mornings, Maan nam hosts a farmers’ market. Crafted in Kathmandu, a handicrafts manufacturer also has a small outlet at the NGZ building.